Albinism, believe it or not, is actually a mutation. 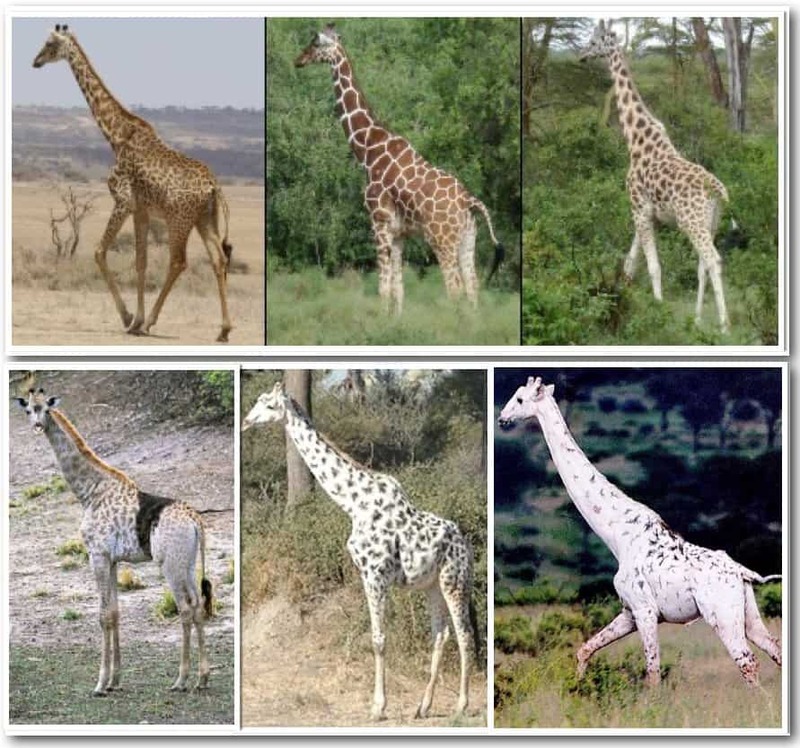 The genetic defect doesn’t affect too many members of each species, but those who do suffer from the defect have a decrease in a melanin production where only white pigments have been created and developed in the body. Scientists are calling these “animal mutants,” and perhaps rightly so. 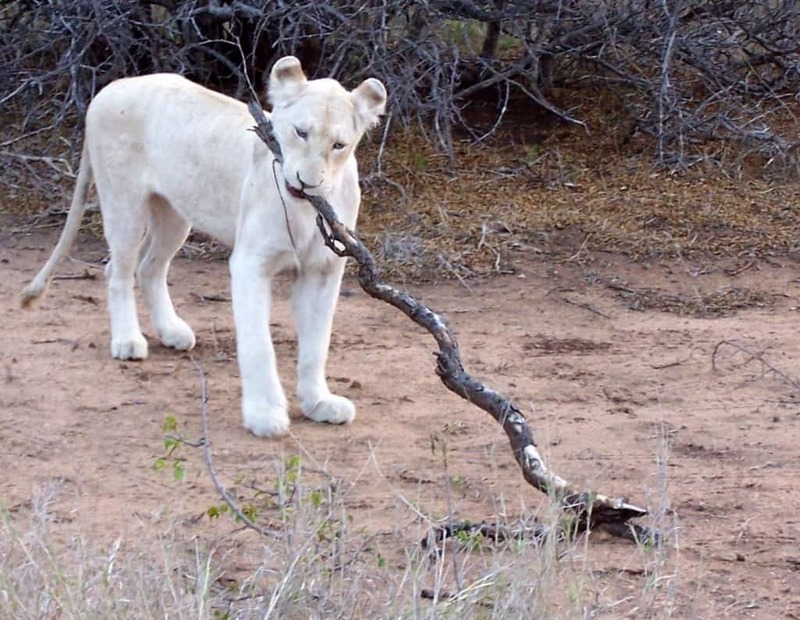 Seeing a completely white giraffe is a tad shocking at first, but also slightly adorable. Almost every species can be affected. Here are ten incredible animals that have mutated. People were unsure whether or not there is a living albino giraffe roaming the wilderness of the world, but Ripley’s Believe It Or Not has a stuffed on one display. 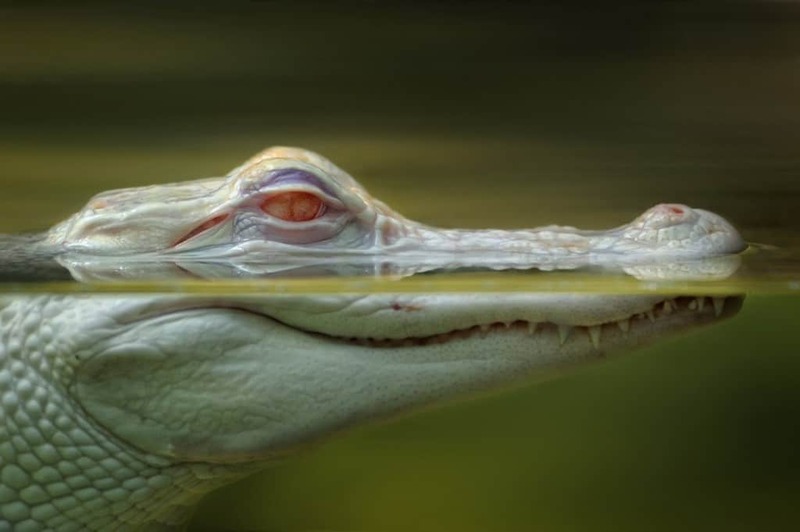 Back in 2012, scientists did some research at the Bhitarkanika National Park in India and discovered multiple albino crocodiles swimming in the muddy water. 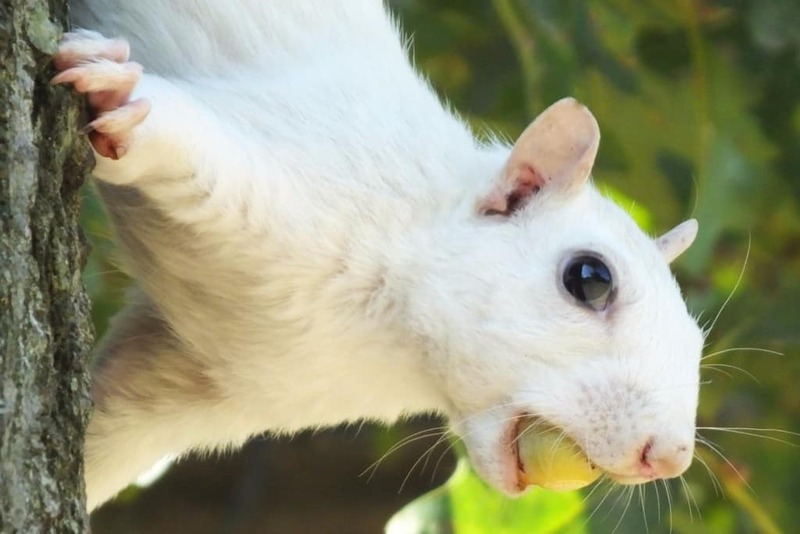 There is a garden in Scotland that has become known for Arthur, the albino squirrel that comes there to feed. He showed up one winter with pure white fur, and now stops in regularly. 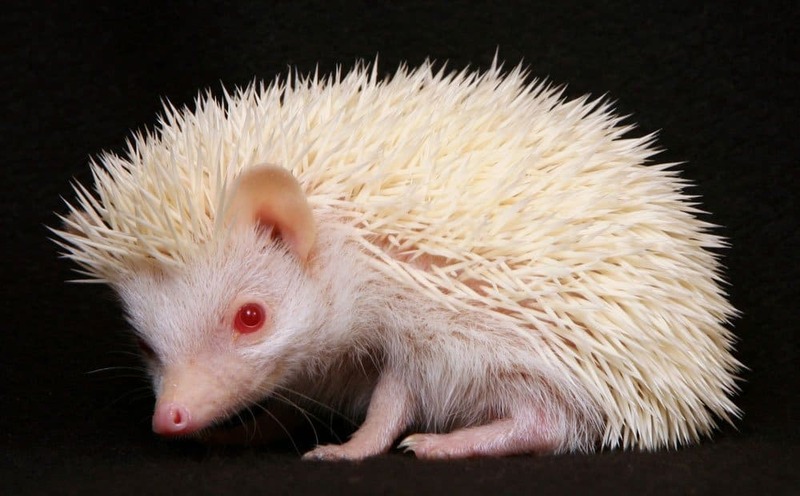 An orphaned hedgehog, rightly named Snowball, was birthed with albinism. This creature is currently three times the weight of normal hedgehogs, clocking in a 1.5 kilograms. In 2012, the Yalta Zoo in Ukraine ended up bringing in five white lion cubs. Three of them had been born in a safari park, while the other two were from a small, nearby zoo. 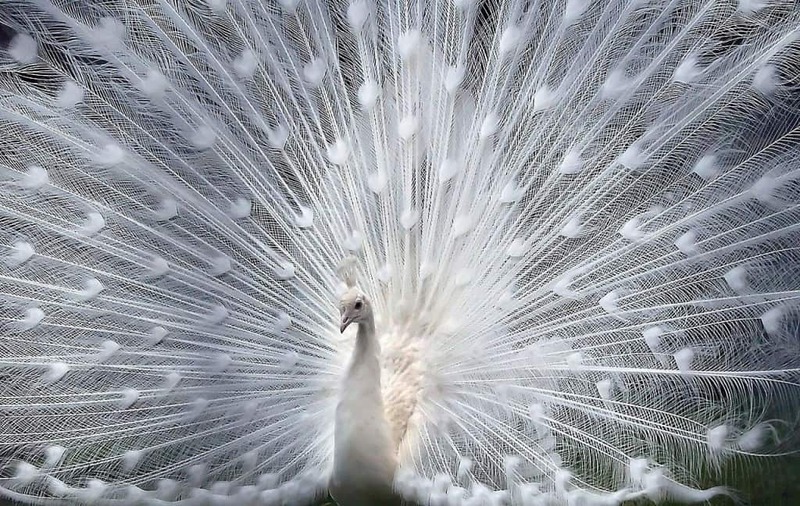 Peacocks are splendid birds known for their wide variety of coloring on the feathers. However, there is a bird out there that is completely white, and it doesn’t have albinism. They are the Indian Blue. An albino camel is incredibly rare, but one was discovered in New South Wales, Australia. 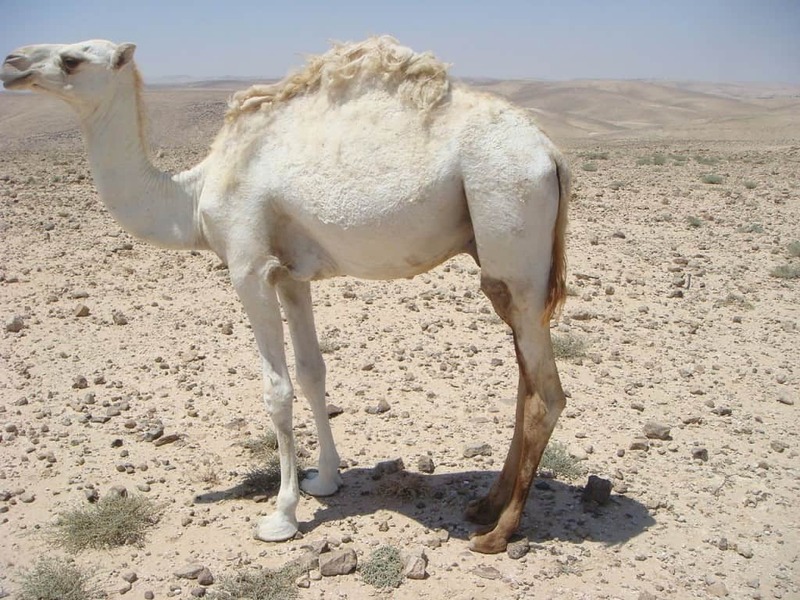 Those who discovered the pure white mammal named it Ula, and it is said that there are only four albino camels in the entire world right now. Siegfried and Roy made the world stop in awe when they introduced white tigers into their Las Vegas act. 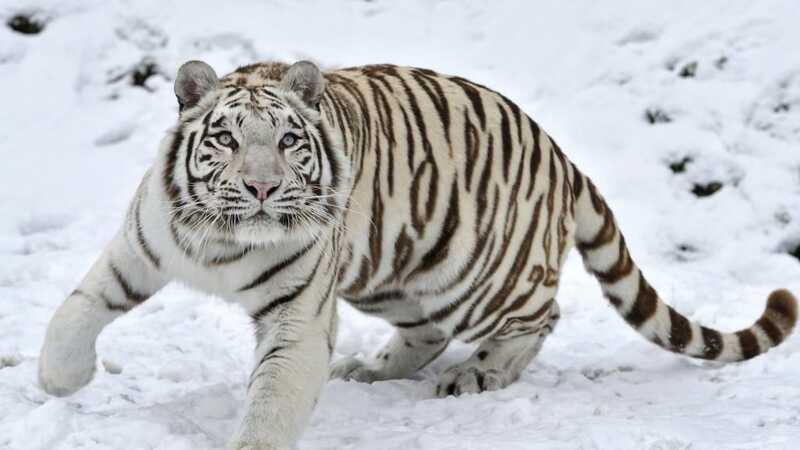 The tiger had black stripes, but was completely white otherwise. Minty, the White Green Turtle, was born in Reef HQ in Townsville, Australia. 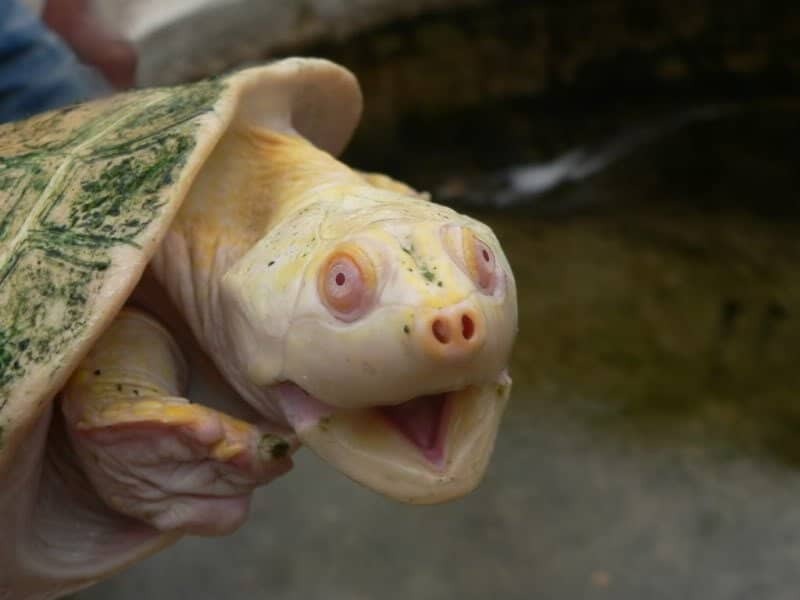 Sadly, the albino turtle only survived one year in captivity before he was discovered lifeless. 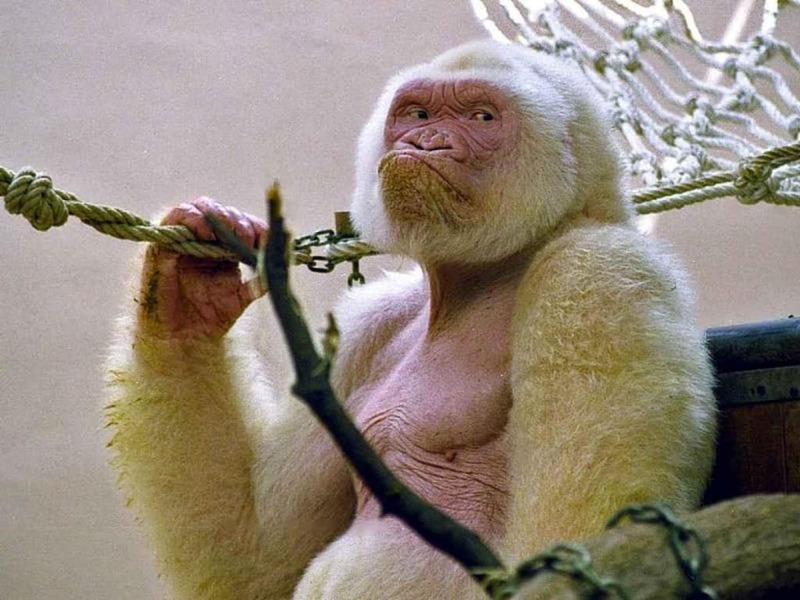 Snowflake, an albino gorilla, was born and lived in Barcelona Zoo in Spain. Thousands of people came to the zoo each month to see him before he perished from a rare skin cancer.